Over 5,500 linear feet of new stormwater conveyance and water quality treatment of approximately 3.3 acres of existing pollution generating roadways was constructed in the Inglewood neighborhood to resolve the existing drainage problems and complete the missing link in multi-modal corridor improvements connecting downtown Sammamish to Lake Sammamish. Osborn Consulting led the design of the bike lane, sidewalk, and stormwater retrofit. 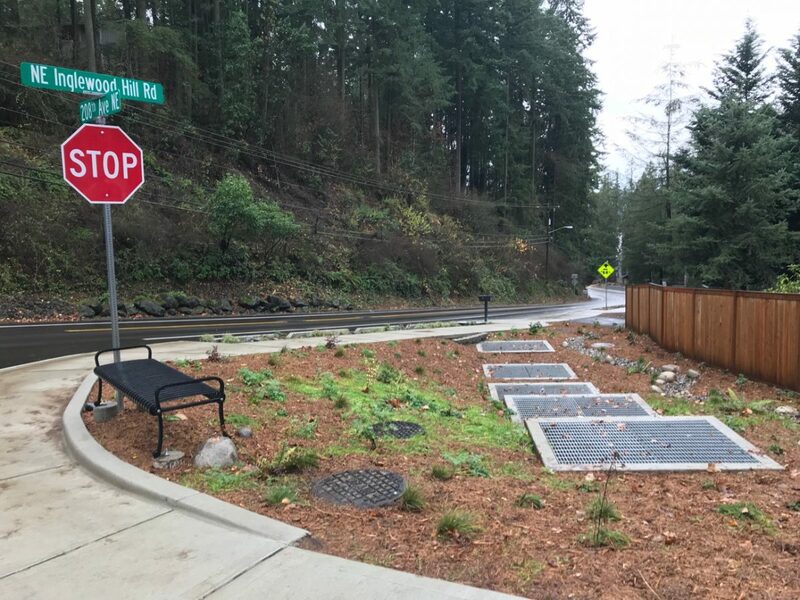 Conveyance improvements included a new stormwater trunkline to convey public and private runoff safely through slope stability hazard areas to existing ditches at the bottom of the hill, allowing for redevelopment to resume. 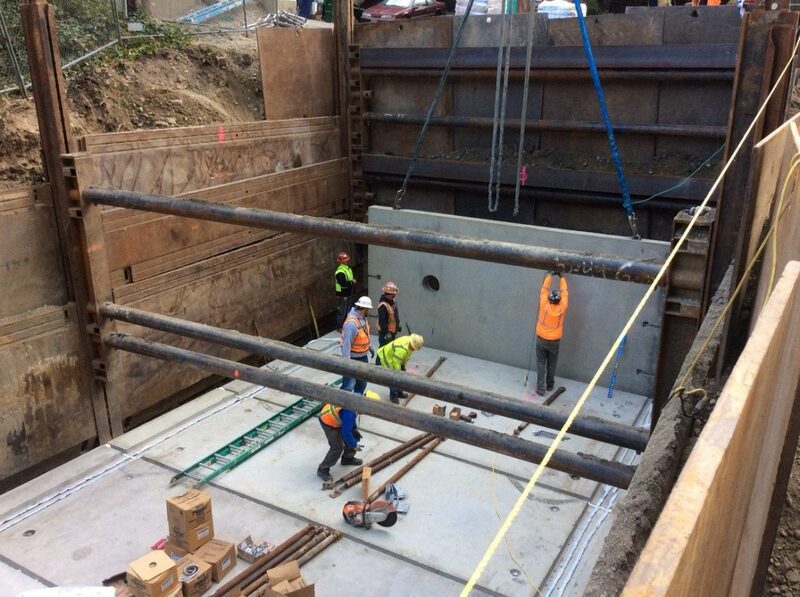 Water quality retrofit was achieved via a large sand filter vault, seven modular wetland units, and 6,000 SF of raingarden planter strips. 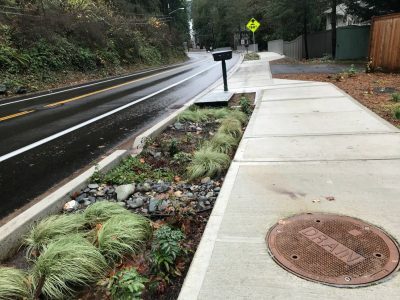 The project redefined the street section and provided six-foot bike lanes and sidewalks along the north side of the steep and winding roadway. 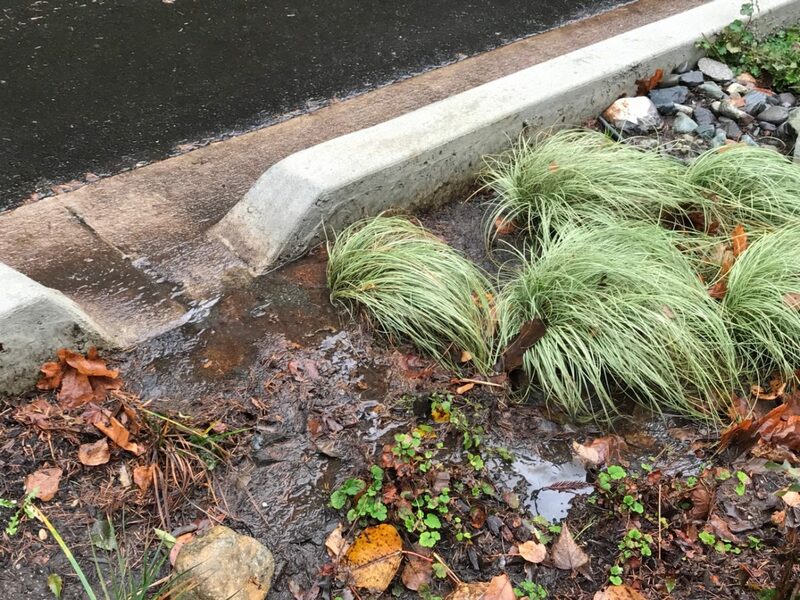 Raingarden planter strips enhance aesthetics and safety for the corridor. Five different ramp types were designed for 13 ADA compliant sidewalk curb ramps to the maximum extent feasible with the steep roadway grades. 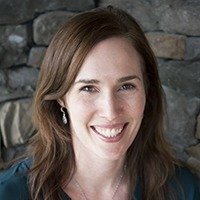 Careful planning, cost benefit analysis, and efficient design set the stage for this project to be constructed within its planning level budget with more amenities than originally intended. Design Components: basin wide H&H modeling, large sand filter design, ADA curb ramps designed to the maximum extent feasible, installation of new fiber optic conduit, coordination of construction contract with water line installation by the Sammamish Plateau Water and Sewer District.